Atelier is a wonderful business that requires automated accounting. Indeed, without such accounting it is difficult to control the work of the organization, and thus may be unforeseen problems that could have been prevented, knowing you about them in advance. Our software for tailoring shop will help you to calculate and fully establish the atelier management. Our atelier software is suitable for an automation of atelier, fashion salon or any other organization engaged in sewing and selling. With our tailor software, you will be able to establish the atelier control and all areas of your business, and eventually you will get one single streamlined and manageable mechanism. The atelier system is designed for multiple users. Each user has access rights and password. It allows the head of the organization to track the performance of each employee who works with the tailoring software.The tailor program allows you to keep accounting of finished goods, working clothes, fabrics, findings, goods in a clothing store, and to keep accounting of atelier orders for individual or mass tailoring. Registering customers’ orders, you can immediately print out all necessary documents, reports, receipts and checks. Tailoring shop software allows you to search orders in different ways, for example by number, date of registration or by client, manager, status. New orders can be easily registered in the program by adding all the necessary information in the appropriate fields. The tailoring program contains a single database of contractors. There you will select customers in the future. Searching customers, as well as searching orders, is easy to accomplish by name, phone number or discount card. Tailoring system has a database of goods that the atelier produces. The section "Materials" will be useful, because there all the necessary expenses of a material for tailoring will be specified. The type of product will be chosen from this database, when you make an order. There, in the column of the description of an order, you can specify the required data, such as customer’s description of the product, his measurements and so on. To make it easier to monitor the current status of a particular order, it is displayed in different colors at the different stages. In compiling the individual price list of the customer, the tailoring shop software takes into account his possible discounts. The program also allows you to print appropriate cash memo. Using a marketing report, you can analyze the effectiveness of advertising of your atelier. This service will allow you to figure out whether he your advertising campaign is recouped or not, and to reduce or increase the cost of the contrary. Each analytical report of your atelier is formed for any specified period, allowing you to analyze the work of the organization in a particular date. The program for tailor management will help you to automate and build your business quickly and easily! Tailoring software free download is available on our website. To purchase the full software package, please contact us by telephone (numbers are listed on the site), or write to us an e-mail. 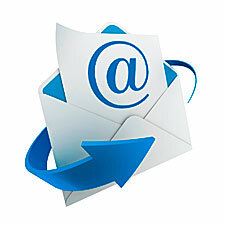 Write an email describing the questions you may have and our team will give you a complete answer in the shortest time. In addition, you can call us and ask all the questions personally. Remember that the atelier software can more and the automation of garment production - it's easy now! Quick search for a person or organization. Electronic history of all orders, the total amount of financial investments. Each client can have an individual discount in the tailoring software. Atelier system works with barcode scanners (bar coding), and printers of labels. It is possible to monitor the stock of goods in the atelier software. Uniform system of accounting in the company provides the placement under the responsibility in the sub-report of any employee of a trading company. Uniform system of accounts will display the suppliers, lines of products in case of realization of another sewing. Uniform database works with sewing factory. Uniform system supports the planning of activities of the organization. Automatic payroll calculation on a piece-rate percentage. Uniform management services include workers' control over the activities of apparel companies. Accounting for cash and non-cash payments, cost accounting in the garment industry. Electronic accounting system for apparel companies and ateliers. The uniform software includes quality control of garments. Software for tailoring shop is a modern automation of information at all stages of work. The system of internal accounting of consumption of materials. Uniform management system takes into accounting defects. Tailor program can display orders in different colors depending on the state of implementation of each order. Tailor system includes accounting of accrued and paid wages according to productivity of each employee. Sewing software significantly enhances productivity and production of companies. Accounting of tailoring orders, work performance, payment from customers. Quality control at the garment factory can also be supplemented with a detailed audit of the actions of all users. Management of sewing business, atelier control in different sections of the company. Development of the automated systems of work of sewing company, automation of garment production. Automatic organization of planning at the enterprise. It is possible to add the results of work into the sewing system. Fabric software includes the formation of the pro forma invoice. Sewing automation includes automatic generation of receipts for payment. Uniform accounting system supports the creation of summary reports on the production or implementation. Creation of the consolidated financial statements for the best-selling products, most income-generating employees. Intra-firm planning and control provide a more efficient management. Creation of any other consolidated statements on request. The software includes a detailed audit of the actions of all users. Uniform management software has user access differentiation to different software modules. There is plenty of additional functions of the software for atelier management.